Today I’m going to talk about the progress I’ve made with my 2016 blogging goals. I know the title of this post sounds very formal, but since I’ve slacked with my blog goals, I thought making it formal would help me feel accountable. You can find more information about each point on this list in my original blogging goals post. You’ve probably noticed, but I’m not posting very often. I’m barely reaching two posts a week. It’s not because a lack of ideas or because I didn’t make a planning. 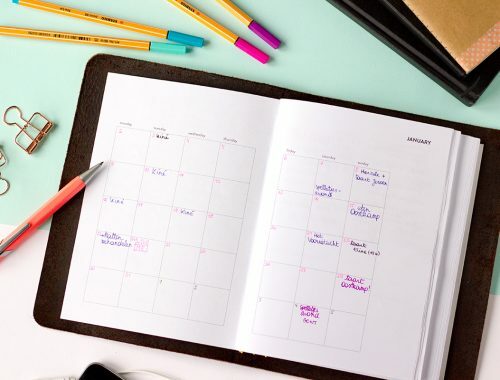 In the beginning of March I made a planning for both March and April, with three neatly planned posts a week, but I never seem to get to actually writing those posts. I’m thinking about lowering the number of posts I want to write in a week. I might try to just write two or maybe even only one post a week and make it more consistently. Maybe a post on Wednesday every week and a Last Week post every two weeks on Sunday. Or am I putting too much weight on this and you guys don’t actually care how often I post and on which days, as long as I write a decent post? Let me know! So yeah, consistency and three times a week aren’t going well. Onto a more positive note! I’m working on the redesign of this blog and it’s very much-needed, because I really miss ways to lay-out my posts and make them prettier. Hopefully I’ll be done soon with the design and then I still have to overcome my dread of the coding. It’s funny that I never though a second about coding a website before I learnt basic HTML and CSS in class, while I’m really intimidated by it now. Another point I’m really working on is the vlog! I actually filmed a lot of material already, but I haven’t got to editing it yet. It’s a learning process and I’d rather make my first stupid mistakes behind the scenes, before putting anything online. One of the stupid things I already did is filming a book haul and only realizing when I ran out of time, and I just managed to finish filming my haul in time before I had to leave, that my camera wasn’t filming. Bummer. 😛 I’m also curious what type of videos you’d like to see on this blog? I’m thinking about doing my book hauls on video (but still publish photos of the books too), maybe do drawing on location videos and sometimes use video for DIY’s (because photos aren’t always clear and I think it would be nice if I could show you on video). What do you think: good idea / bad idea? Ja voor boeken- en DIY-vlogs! ‘k Ben benieuwd naar de nieuwe lay-out.